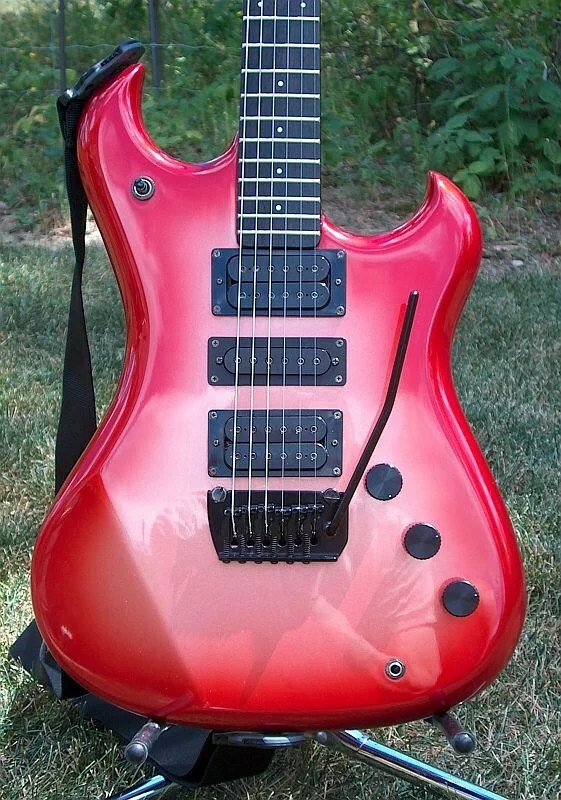 A custom version was also available which featured a Dan Armstrong DA015 ‘Rock Monster’ bridge humbucker. The Python doesn’t actually exist as a model in its own right, it was a custom finish available to order from the Westone Custom Shop in St Louis. 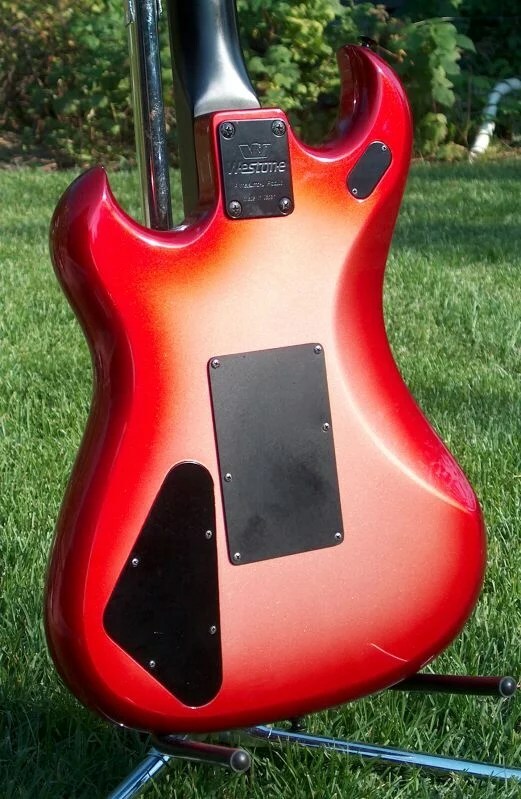 (The one below is the Python finish on a Corsair GT) The Python finish could be applied to just the headstock, body front or over the whole body. The chrome skull knobs on this one are not the original knobs.